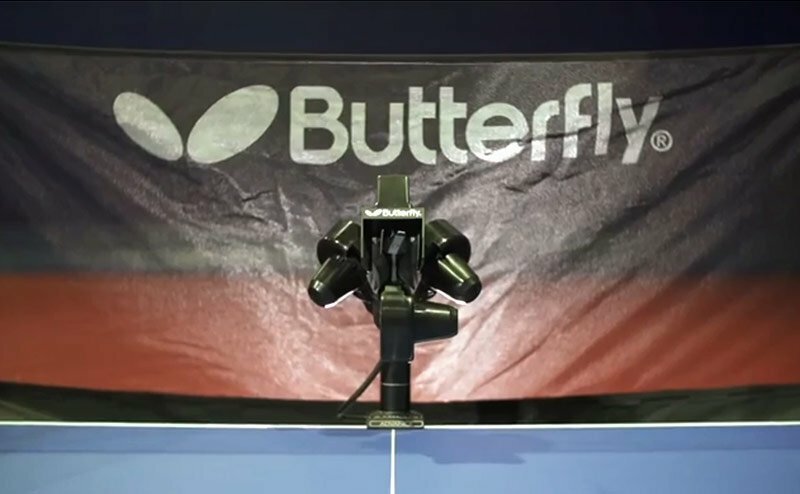 The Butterfly Amicus Professional is a great table tennis robot that will without a doubt make you a better player. It has all of the capabilities that you can think of, all packed into a lightweight machine that is easy to setup and transport. The Amicus Professional is hands down the best robot that you can buy today. There really isn’t any debate about this. It can pretty much do any type of shot, in any order at whatever speed you need. It is made by Butterfly in collaboration with LCS sport. In case you are wondering why other ping pong machines, like the Power Pong 3000, look very similar to the Amicus, it’s because they are also made by LCS sport. The package includes the robot, the recycling net, the control box and an additional wireless remote control. Setup is a breeze. You just have to attach the robot to the table end, extend the net, connect the control box, plug it in and start training. It should take you no more than 5 minutes. So what can it do? The better question would be what can’t it do. Unlike cheaper alternatives, the Amicus has three distinct heads which allow it to produce any kind and any amount of spin in the same drill. 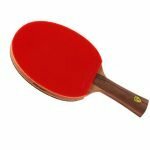 It can do backspin, topspin, sidespin, no spin and any combination in between. Having trouble with short side spin serves? Problem solved. 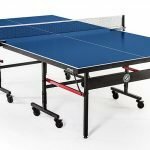 Do you tend to overshoot the table when your opponent throws you a ball with huge amounts of topspin? You can train it till it’s perfect. You can input into its memory up to 99 different exercises/drills which should be enough even for the most seasoned professional players. Each drill can have up to 8 steps/balls. And because it is programmable, it can effectively produce an infinite amount of combinations, giving you the possibility to replicate any type of drill. 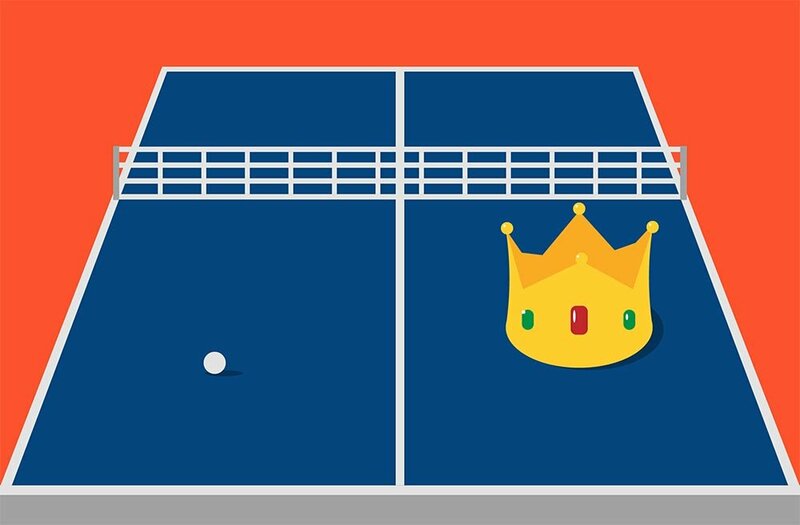 This means that you can create a drill that will send you a short backspin ball simulating a serve receive then a fast topspin shot to the left corner and then another one to the center, one again to the right, and so on up to 8 times. 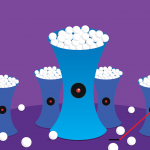 You can set the speed of the balls to your desired level and even program pauses into the drill to better simulate real-life conditions such as returning to your ready stance. Because of the variable amount of spin, you can program a drill, for example, that will give you a high amount of backspin, then low, then flat, and so on. 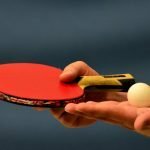 Put it in ‘RND’ mode(read below) and you will soon excel at one of the most important skills in table tennis, reading spin. If you don’t have any exercise ideas you will be happy to know that the Amicus comes with 21 predefined drills that will help you start training right away. To further simulate match conditions, you can switch on the “rnd” option. This randomly sends the balls that you programmed earlier in a 20cm area. So after you feel that you mastered the drill, this would be the next level because you can’t always stay in the same positions as before. There is also a “RND” option(with capital letters), which throws you the balls in a random order. This is awesome because after a while you will start to memorize the order of the shots and preemptively move towards it. 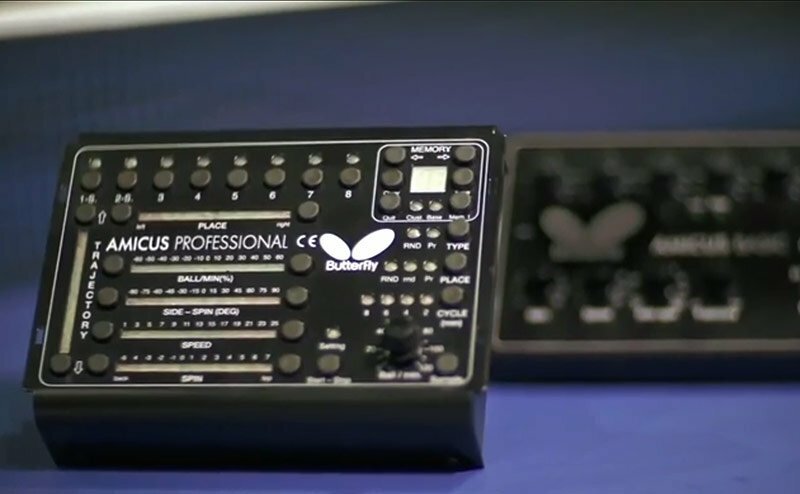 These two modes really make the Amicus a very close alternative to a real practice partner. Here is a thought. Get some lessons with a coach and learn the correct shot techniques. Then identify your weaknesses and devise some exercises with the coach to correct them. After this, replicate the drills on your Amicus and profit. Simple. Although the control panel may look scary complicated at first, rest assured that you will master it in no time. Every button has a label that clearly says what it does. After a while, you will program it in your sleep. You would expect that a robot that can do so much to weigh a lot. 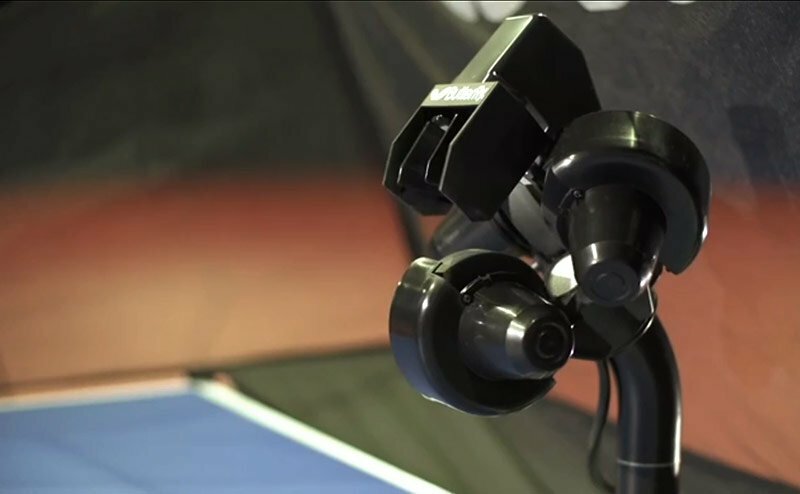 Surprisingly, it weighs only 13 pounds which is incredibly light for a table tennis robot. It comes with its very own carry bag making it very easy to transport. 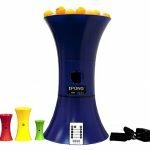 And yes, it also has a ball recycling system so you can keep on training without having to pick up the balls and refill the machine. This robot costs a lot. Yes, it is the best there is but that almost always comes at a price. In this case, that price is more than most will be willing to spend for a table tennis robot. 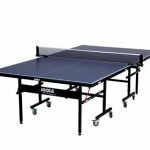 If this is way over your buget you will be glad to know that we recently published a massive article where we reviewed the best table tennis robots, where we also included some affordable options. Aside from this, the manual is not exactly in line with the quality of the machine. It is not the most instructive piece of documentation ever written. Luckily, there are a lot of videos online that help you figure it out. I’ll leave one below. The Butterfly Amicus Professional is a marvel of engineering. It can basically perform any type of shot or drill you can think of and it will not get tired or complain. It is easy to set up and carry and it will surely improve your game if used correctly. But in the end, it is still a machine. 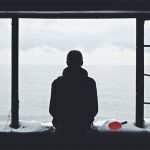 It cannot tell you if your technique is off or if your stance is wrong. Practice makes perfect, and the robot will help you do just that. But if your technique is bad, it will become “perfectly” bad after a while. 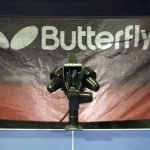 So the best way to use the Amicus, or any robot really, is to include some coaching sessions into your training schedule to make sure you are developing the correct technique while using the robot. Go over on Amazon to see other reviews for the Amicus Professional.